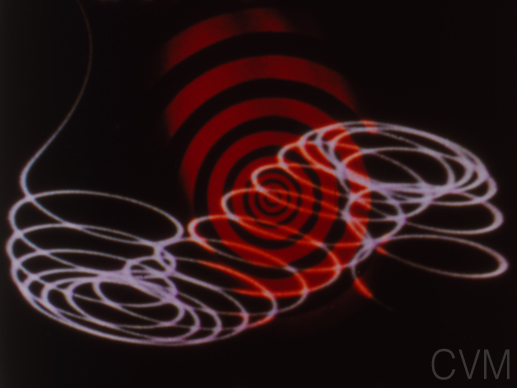 Curated Film Programs: Optical Poetry: Oskar Fischinger Retrospective, Jordan Belson Retrospective, Mary Ellen Bute, and several comilation Visual Music Programs. Plus lectures and presentations. For Other Information on Special Collections (Paper, Monograph and other materials), please visit our Collections and Archives page. For basic research, you may wish to start with our Online Library. 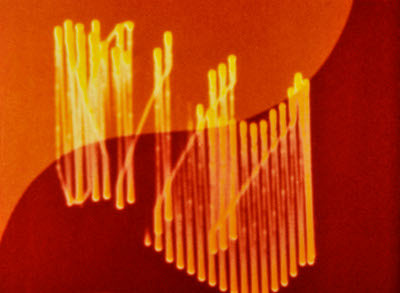 PART ONE: THE CLASSICS: Featuring 35mm prints of Fischinger's classic visual music films, including Allegretto, Study No. 5, Study no. 6, Study No. 7, Study no. 8, Radio Dynamics, Composition in Blue, Motion Painting No. 1, Kreise, An American March, Spirals, Coloratura, Walking from Munich to Berlin, and others. Many are preserved or new prints. Includes prints preserved by Center for Visual Music and Academy Film Archive. Academy's preservation was done in the late 1990s' with the support of Film Foundation and Sony. CVM thanks Cinémathèque québécoise and EYE (for its support of the preservation of Study no. 5). Program is approx. 70 minutes, current versions in 2018 are either a combination 35mm & digital program, OR all digital. Rental is subject to conditions including the screening of a complete program without re-ordering or print substitution. 35mm prints may be rented to qualified institutions that do not use a platter projection system. See bottom of page for notes on qualified institutions. * See print Rentals link above for rentals of individual 35mm prints, on certain titles. This program cannot be provided on DVD. We do not yet have a DCP version A different version can be presented in 16mm. Recently presented at Tate Modern, National Gallery of Art, Whitney Museum, EYE Filmmuseum, LACMA, Pacific Film Archive, Lincoln Center, Northwest Film Forum (Seattle), Gallery of Modern Art, Brisbane (Australia), Annecy and Stuttgart festivals, and many other venues over the past 12 years. Jordan Belson: FIlms Sacred and Profane - please inquire re conditions for screening. 16mm and videotape. Not available as an all digital program. CVM's Belson Retrospective program includes Mandala, Bop Scotch, Seance, Allures, Samadhi, Chakra, Music of the Spheres, and other films (program varies slightly depending on formats available and type of projection at venue), includes never-released Quartet and LSD for selected venues. Original program c o-curated by Belson and CVM director Cindy Keefer. Coming in near future, a two-program Retrospective with the addition of some rarely screened material. Includes all of Bute's Abstract Films. Known for her pioneering early abstract films (some of which were screened regularly at Radio City Music Hall, New York in the 1930s), and one of the first artists to use oscilloscopes, she is also known for her collaborations with Norman McLaren and Leon Theremin, among others. Program features all of her abstract films. 16mm prints (not available as an all digital program). Rhythm in Light, 1934; Synchromy No. 2, 1935; Dada, 1936; Parabola, 1937; Escape, 1937; Spook Sport (with animation by Norman McLaren), 1939; Tarantella, 1940; Polka Graph, 1947; Color Rhapsodie, 1948; Imagination, 1948; New Sensations in Sound, 1949 (RCA Commercial); Pastorale, 1950; Abstronic, 1952 and Mood Contrasts. Organized by CVM in association with Cecile Starr and Women's Independent Film Exchange. 16mm. Recently screened in Seattle, Los Angeles, Chicago, Ithaca New York, Australia and in Osnabruck and Frankfurt, Germany, among other cities. Treasures from the CVM Archive (16mm) and more. Please visit our symposium Screenings Page for more details. This program combines classic visual music films by Oskar Fischinger, Jordan Belson, Mary Ellen Bute, Jules Engel, Barry Spinello, John Stehura and others with contemporary work by artists including Bret Battey, Steve Woloshen, LIA, Robert Seidel, Chris Harvey and others. Available as 16mm & digital program, or all-digital..
A series of casual evenings, presented in 2017 in Santa Rosa, CA and in 2016 in Los Angeles, London and Oxford, UK. 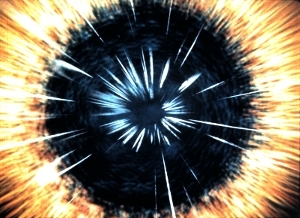 Combining classic visual music films (Fischinger, Belson, Bute, Engel and others) with contemporary work. Some salons have involved a performance element, with live performance painting, live video painting and music. Artists and others introduce and discuss the films. Salons may combine 16mm and digital files, or be entirely digital, depending on venue. From absolute film to psychedelia, this program of revelatory moments from the history of visual music and kinetic art explores lost, legendary and rare treasures found in the archives of Center for Visual Music (CVM). Featuring among others, 4 rare works by Jordan Belson, including the unfinished Quartet (1983), the infamous LSD (1962) and a presentation reel from the Vortex concerts (1959); three new 35mm prints of Oskar Fischinger films (Ornament Sound, Studie nr. 5, Spirals), Charles Dockum’s Mobilcolor Performance Film (1970), a color-light projection composition; two newly discovered films by John Cage and Richard Lippold, including The Sun Film (1956), about the kinetic art sculpture, Night Waves (1977) by Richard Baily and Jud Yalkut's Turn, Turn, Turn. The program features many newly preserved 16mm and 35mm prints. This program screened at Tate Modern and UCLA Film & TV Archive/Hammer Museum in 2013. This program is subject to modification of a few titles. A program of visual music films for children (presentted at SF MOMA's Family Day and at Newark Museum, NJ), with abstract animation by Oskar Fischinger, Norman McLaren, Jules Engel, Baerbel Neubauer, Steve Woloshen, David Ehrlich and other artists. 16mm and digital. Color and Form: California Modernist Animation and Abstractionpresented at LACMA, 2012. 16mm prints. Lichtspiel (REDCAT Theatre, 2009). Contemporary work. NOTE: this program is no longer available with this playlist, but can be modified. 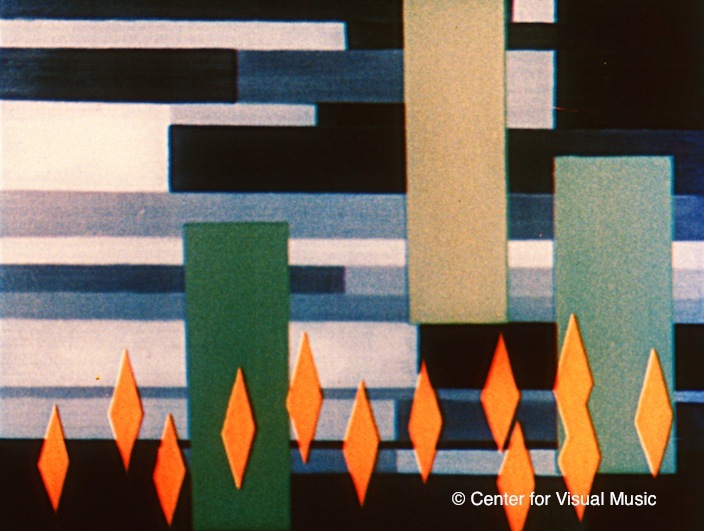 Seeing Sound: A program of visual music films featuring hand-drawn sound, including Fischinger's Ornament Sound, and films by Norman McLaren, Barry Spinello, Devon Damonte, Lis Rhodes, Guy Sherwin and more. 16mm and digital (not available as an all digital program). Pesented at UCLA Film and Television Archive/Hammer Museum, Los Angeles, and other venues. 16mm prints. Reviewed by Danni Zuvela in "The Musicality of the Moving Image" in realtime onscreen, Brisbane: "... consciousness-expanding variety of psychedelia and its various cinematic and machinic iterations by generations of artists, filmmakers and scientists. The incredible Rare Classics program, curated by GoMA guest Cindy Keefer of the Center for Visual Music in LA, was a prime example of the kaleidoscopic approach to moving abstraction by numerous artists in the early-to-mid 20th century. The Rare Classics program abounded with priceless opportunities to witness the genre's often-referred-to-but-rarely-seen works, such as John Stehura's pioneering (1960-1965) computer animation, Cibernetik 5.3, Jud Yalkut's decidedly brown-acid Turn, Turn, Turn (1966) and some mind-blowing footage from early expanded cinema performances. Along with the unforgettable experience of witnessing the 'recreation' film of Oskar Fischinger's R-1 ein Formspiel (c1926-1933), from his 1920s (!) multiple-projector performances … there was extraordinary conservation footage of Charles Dockum's 1952 MobilColor Performance at the Guggenheim Museum. Flashback to the 1960's with a program of rarely seen film and video by legendary light show artists from San Francisco, New York, and Los Angeles: Glenn McKay, Tony Martin, Elias Romero, Joshua White, Single Wing Turquoise Bird, Jud Yalkut and others, plus the light show finale excerpt from David Lebrun's Hog Farm Movie. Featuring light, color and liquid projections layered with film and handmade slides, originally performed live at rock concerts. Selections from this program were featured in the 2005 US exhibition "Visual Music" at the Hirshhorn Museum and MOCA LA. This program screened at the Rotterdam International Film Festival, 2006, San Francisco in August 2008 at Yerba Buena Center for the Arts; Cornell Cinema 2008, and at various other venues. Program approx. one hour. 16mm and video; includes new preservation print of Yalkut's Turn, Turn, Turn. 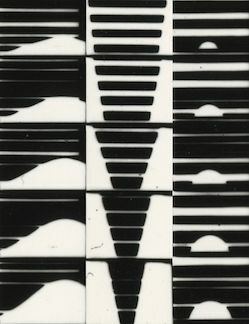 Illustrated Lecture: Preserving Visual Music, The Archives of Center for Visual Music includes Belson, Fischinger, Dockum, Bute and more (see our Events page, this has recently been presented at UCSB, University of Oxford, Goldsmiths College, ZKM, and other venues. Illustrated Talk by Ms. Keefer of CVM: Raumlichtkunst to Vortex: Early Expanded Cinema Experiments of Oskar Fischinger and Jordan Belson (presented at Tate Modern, Expanded Cinema Conference April 2009). Screening and Lectures: Music for the Eyes, selections of old and new Visual Music films ("greatest hits"), presented at UC Riverside, USC, Cal Arts and UCLA Media/Arts. Also see our past programs and lectures, detailed on our Events page. We cannot provide these curated Film Programs for exhibition on DVD. Changing soundtracks, or adding new music, is not permitted. Please contact us if you wish to discuss a custom program(s) for your venue or festival. We often provide multiple programs and consultation for Visual Music events and festivals. CVM's online Store offers Research Copies of films on DVD. These are for private home use or classroom use only, and most may not be exhibited publicly for a paying audience, or used in museum exhibitions or public screenings without additional permissions, fees and/or licenses. Please inquire if you wish to obtain permission for additional uses. These DVDs and books are also available for purchase via phone, or at our downtown Los Angeles offices. Under certain conditions, CVM provides access to selected prints from our preservation projects, and digital copies (such as museum exhibitions), through rentals to qualified institutions, festivals and others. * We do not rent to individuals. Viewing copies (on video, files or dvd) of many films are available for onsite study by researchers and scholars at CVM's offices. Please email or call for an appointment; visit the Researcher Guidelines page. CVM does not make or provide dubs of these research copies; please see our online Store for available titles for research purposes. In January 2015 we launched our Video on Demand channel with complete films from the archive. Brief excerpts from some films can also been seen at our regular Vimeo channel. All requests are subject to license fees. We do not at this time provide films on Blu-Ray for exhibition. *For film print rentals: Qualified institutions include FIAF archives and venues capable of archival projection, and institutions which have previously rented programs or ptints from CVM without damage. Please email for further information.